Last night as I was driving home, I was looking at the sky. Sooooo beautiful! It almost made me feel like crying. 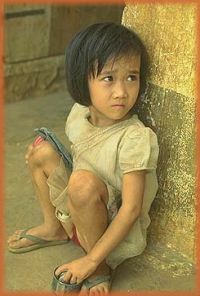 A little child - a homeless soul is dying. What right do I have to be happy? Know not whether it is day or night? To raise my arms in praise to God above? And are still so hungry when they wake? By the different ways we suffer!